We are working with a leading waste management company who require an experienced sales executive to join their team and whilst reporting directly to the Regional Sales Manager will take on responsibility for proactively creating and retaining an account base of customers, manage both new and existing accounts from initial sale through to ensuring service delivery and beyond; securing long-term relationships and repeat business within a competitive market and being proactive in cold-calling and making your own face-to-face client visit appointments within your target area. Other tasks and responsibilities will include, but not be limited to; submitting monthly sales reports to the Regional Sales Manager and resolving account problems through liaising with transport and accounts departments. To be considered you will have a full UK driving licence, be competent in Microsoft Office and database use, be able to demonstrate persuasive, inquisitive and convincing abilities and possess good time management and organisation skills. We are working with a leading waste management and services organisation who are looking for an experienced design and construction manager to join their team and whilst reporting directly to the Chief Commercial Officer take on responsibility for construction architecture engineering, design and development and cost estimation of site projects, as well as coordinating and supervising a wide variety of projects as well as other tasks such as producing highly detailed drawings using CAD applications (AutoCAD) from rough sketches and specifications onwards. To be considered you will have a bachelors degree in architecture, construction or related field and a minimum of 5-10 years commercial and institutional build/design construction experience, with waste management experience, French fluency and a masters degree as beneficial but not essential. We are working with a rapidly expanding environmental consultancy who are looking for an addition to their permitting team and take on a number of duties and responsibilities as team leader, some of which will include; providing technical support for a wide range of permitting services, provide direct input to projects and oversee others by sharing your knowledge of up to date environmental permitting and play a proactive role in the management and development of new business opportunities. In order to be considered you must have a relevant qualification in a specialist discipline area, be able to prove your experience in project management, budget control and financing, have a range of permitting experience ideally including; landfill, waste treatment, Haz. Waste management and waste recovery options and possess good knowledge of application and regulation of environmental regime. We are working with a leading construction company who have the opportunity for an experienced Quantity Surveyor to lead the QS team and take on a number of responsibilities, including but not limited to; producing accurate estimates from between £100k-£1m, managing billing process and producing monthly contract valuations, as well as coordinating and managing the selection of subcontractors, ensuring a balanced range is chosen capable of delivering the required price, quality and time, and a number of other tasks will also be expected of you. You must be able to manage multiple projects at one time, effectively and to time scales. To be considered you will have proven quantity surveying experience, experience of working on/ producing estimates from the national schedule of rates/measure rates, and full confidence in accuracy of estimates/tenders produced. We are working with a leading environmental consultancy who require an experienced transport planner to assist the transport team growth plans and work closely with Directors from across the UK, whilst also taking on duties involving project management for transport planning, strategic objective , mentor junior team members, and ensuring technical output and team deliverables. To be considered you will hold a degree level qualification or equivalent in transport planning, civil engineering or related discipline, hold membership to a relevant profession organisation and ideally be chartered, or working towards being a chartered professional. We are working with a leading waste management company who have the exciting opportunity for new sales additions to their team. Reporting to the Business Development Manager you will sell the full services and those of the wider company including sourcing new business via cold-calling, react to and convert sales leads from incoming enquiries and leads generated in all departments whilst complying with the health and safety and environmental regulations, as well as taking on a number of other responsibilities including, but not limited to; undertaking site visits to thoroughly assess jobs and projects and obtain chemical waste inventories for the preparation of accurately costed quotations to ensure appropriate return on sales and enabling the generation of the necessary documentation and following up all enquiries quickly and efficiently. To be considered you will have a minimum of HNC in Chemistry or Environmental Science, experience working in the field of Waste Management sales – hazardous waste experience is beneficial and a clean driving licence is essential. We are working with a leading international waste company who have the exciting opportunity for an experienced communications manager to join their London team and whilst reporting to the Brand & Marketing Communications Director prepare internal and external communications including presentations, social media (digital platforms), emails and posters and be prepared to work on a number of duties and at times take on travel. To be considered you will have proven experience of leading international communication strategies in a multi-national environment with positive end results and ideally have experience/knowledge of Middle East and African regions. An experienced Technical Director is required to join an expanding business and whilst reporting to the Chief Operations Officer take on a number of tasks and responsibilities including, leading and managing the engineering team to optimise uptime of on-site heat generating gasification units and biomass manufacturing equipment, ensuring machine breakdowns are addressed in a timely manner, developing and scheduling PPM and managing plant business projects in line with the stakeholder requirements as well as a large number of other tasks as required. To be considered the successful candidate will have experience/qualification, in engineering disciplines (electronic and electrical engineering, mechanical engineering, renewable energy), ideally at degree level or above, ideally a minimum of 10 years working experience within a medium to high volume manufacturing environment at lead engineer or management level, experience of project management and experience managing mechanical, electrical and heat generation gasification teams. We are working with a world leading recycling company who have the opportunity for an experienced electrical engineer to join their team and take on a large and wide range of activities, including working with a variety of machinery and equipment. The successful candidate will have experience in a similar role previously, have good working knowledge of 3 phase systems, fault finding experience including with control circuits, heavy industrial operations experience, knowledge of electrical installations and ideally PLC testing experience. We are working with a world leading recycling company who have the opportunity for an experienced Operations Manager to take on responsibility for a highly varied role where duties will include, but not be limited to; driving and influencing site performance ensuring it maintains a high level, H&S, managing visitors, ensuring depot is legally compliant, managing site staff effectively, along with operating plant equipment. To be considered you will have previous Operations Management experience from within a similar industry i.e. heavy industrial/manufacturing, be a strong leader, ‘hands on’ management style and an exceptional communicator at all levels. We are working with an award winning environmental consultancy who have the requirement for an experienced ecologist to join their team in the South East and assist and carrying out site and habitat surveys, desktop studies, write reports and supervise the site as well as other tasks as required. They must have a minimum of 3 years experience at consultancy level, CIEEM membership, relevant degrees, have NE licences and mitigation licences, extended phrase 1 habitat and protected species survey skills and a willingness to take on travel as required. We are working with a leading waste management company who have the opportunity for an experienced supervisor to join their team and take on a number of responsibilities including, but not limited to; assisting the manager with the safe and efficient running of the waste management and recycling site, including crushing and screening, trade waste and demolition, assisting with the training and development of site staff, reporting defects as required, and control production input/output, ensuring smooth running of processes and managing the expectations, as well as a number of other duties as required. To be considered you must have good computer skills, experience of working within the waste recycling industry and within recycling transfer stations, have NEBOSH/IOSH qualifications (desirable) and relevant knowledge of health and safety policies and procedures. For full details email Rebecca@candovergreen.com quoting job ref: RB2185 with your CV attached. We are working with a leading energy and waste consultancy who require and experienced BDM to join their growing team, and whilst reporting to the Managing Director take on responsibility for winning new clients in the construction sector, including selling consultancy services for design/project management as a framework, including utility procurement contracts, bill validation and energy management. To be considered you must hold a full UK driving licence, and have your own car, be an experienced senior business development manager capable of presenting and board level, have experience solution selling with ideally and IT or engineering background. Our client, a leading recycling company, have the opportunity for an experienced Business Development Officer to join their team and be dedicated to developing diverse supply markets from the waste and FM industries, and take on a number of varied responsibilities including but not limited to; performing site visits to identify customer needs and supply suitability, collect and record data on material specifications and requirements to maximise immediate and future opportunities, engage in constant and active risk management to ensure the product being supplied is per the company quality requirements and submit weekly progress reports with metrics on sales activities. To be considered you will have significant sales/business development experience with proven track record, and proven experience dealing with forwarders, hauliers and exchange rates, experience of using a CRM system to record accurate data, experience with using a range of sales techniques for securing new business e.g. cold calling, networking and a full UK driving licence. We are working with a leading recycling equipment company who require an experienced sales director with at least 10 years experience with waste, optical sorting machinery and recycling to join their team and tale on a number of responsibilities including; planning, directing and delivering sales and profit growth including the management of all resources to achieve maximum efficiency and profitability, ensuring activities of team members are focused on developing the business year on year and setting and achieving annual targets and objectives as identified within the budget process, as well as a number of other duties as required. To be considered for this varied role you must have worked at a senior level and successfully led sales teams, be able to manage teams and individuals enabling performance that is of the team members fullest potential, have a strong network of sales contacts and impeccable presentation skills. For full details and to discuss the role further call Becky on 0845 258 7583 or send an email to Rebecca@candovergreen.com stating job ref: RB2168 and with your CV attached. We are working with a rapidly expanding Waste Management company who have the exciting opportunity for an experienced BDM to join their team and whilst reporting directly to the Commercial Manager, take on responsibility for delivering core business development activity and work to consistently bridge individual and departmental needs with those of the broader company, work to cultivate and nurture strong relationships with key clients, new customers, industry executives and internal teams and actively follow up on proposals in order to maximise chances to conversions to customers, and other duties as necessary. This is a fast paced role and will require extensive travel across the UK and overseas. The successful candidate will have experience in working in the waste and recycling industry for no less than 5 years and previous SME culture experience as well as strong customer service experience. To find out more email rebecca@candovergreen.com stating job ref: RB1984 and with your CV attached. We are working with a leading integrated waste management provider, who require an experienced BDM to join their team and work as part of the major accounts sales team in a 100% new business development role and take on a number of responsibilities including but not limited to; selling the products to large businesses and achieve the annual income target, act as the primary interface between our client and their target customers and be responsible for sales prospecting and pricing negotiations and work with the Key Account Manager to implement new business i.e. implementation of new contracts/new services in line with expectations. To be considered you will have proven experience of selling to a high level within a service led industry, experience of preparing winning tenders, and consistent effective prospecting experience as well as understanding that this is a regional role, so travel will be expected. For all details contact Rebecca on 0845 258 7583 or via email at Rebecca@candovergreen.com quoting job ref: RB2163 with your email attached. For all details contact Rebecca on 0845 258 7583 or via email at Rebecca@candovergreen.com quoting job ref: RB2162 with your email attached. We are working with a leading Waste Management provider who are looking to expand their team with an experienced Depot Manager who will effectively manage an operational depot ensuring the health & safety, environmental and O licence compliance, and delivering a first class customer service in line with pre-defined business KPIs, promote employee engagement to support continuous improvement in productivity and quality of service provision and a number of varied tasks and responsibilities such as monitoring, managing and co-ordinating all depot based resources. The successful candidate will be able to demonstrate extensive experience as operations manager or a similar position within the services or logistics industry, profit and loss experience, good transport and logistics knowledge, a full UK driving licence and a strong commercial background. We are working with a leading environmental services company who require and experienced Supervisor to join their team and whilst reporting to the Manager will ensure the team meets the customer contractual requirements whilst also taking on responsibility for effectively managing and overseeing the day-to-day operational activity, working within client specification and providing a first class service to customers, acting as the main link between the local management team and the front line services, carry out job training of team members when necessary and monitor and analyse field operative performance including output and work quality and a number of other tasks as required. To be considered you will have good commercial awareness, hold relevant and appropriate sector qualifications and be able to demonstrate previous experience of supervising a team, excellent leadership and people management skills. We are working with a recycling company who have the opportunity for an experienced Senior Process Development Engineer to join an award winning team based in the South East and become a key member of the product and commercial development team. Reporting directly to the Chief Technology Officer you will take on responsibility for a number of tasks including but not limited to; directing the design, research and development of the new products from initial concepts through to prototyping, pre-production and final release, identifying third party partners, contributing to invention disclosures, patents and publications and liaising with engineering/operations team regarding processes for front end handling as well as a number of others tasks as required. To be considered you will have a Masters degree in Chemical Engineering or related engineering discipline, ideally have chartered chemical engineer status, have a minimum of 3 years industrial experience in process, product development and ideally within the food and beverage sector, be experienced in process design, scaling up to full plant design and commissioning and be at expert level with processing and formulation equipment/plant layouts and concepts/procedures for equipment design and sizing. We are working with a leading recycling company who have the opportunity for an experienced Manager to join their expanding team and take on responsibility for the operational activities of one of their busy process functions whilst also ensuring the depot demonstrates the highest possible standards of Health & Safety, and compliance to industry legislation, drives efficiencies and performance of the processes through effective communication and decision making, and supporting, inspiring and leading the team of dedicated supervisors, shift operators and maintenance staff as well as a number of other tasks. The successful candidate will have previous leadership experience in an appropriate industry relating to heavy industry; processing, recycling for instance, have knowledge of maintenance and / or LEAN principles, qualifications in waste management e.g. WAMITAB and ideally knowledge of mobile and static plant capabilities. Our client, a multidisciplinary services and energy company have an immediate requirement for an experienced Service Engineer to carry out Planned Preventative and Reactive maintenance within a number of Commercial Plant rooms and residential properties associated with the key delivery of their contracts, and will also have specific responsibility for looking after and maintaining the assets associated with the distribution and delivery of communal heating throughout connected buildings and being part of a wider team where you will ensure high levels of service delivery and investigations leading to responsive repairs and a number of other varied duties and tasks. The successful candidate will have experience of new build residential projects including communal heating systems, HIU’s and CHP operations, have a full UK driving licence as that is essential, C&G/NVQ qualification in either Electrical, Mechanical or HVAC with relevant on the job experience and have strong customer facing skills. For all details email your CV to craig@candovergreen.com with the job ref: CM2111 stated. We are working with a leading international, multidisciplinary services company who are looking for an experienced Principal Consultant to join their team based in Scotland and take on responsibility for the provision of environmental consultancy for their clients in the offshore oil & gas industry and marine sectors. In order to be considered the successful candidate must have experience of the oil & gas sector and previous consultancy experience, a strong aptitude for gathering, assimilating and analysing information about physical, chemical, biological and social environments including and ability to gather and assimilate information outside of your core discipline e.g. engineering for oil and gas, and have a well developed background knowledge in marine biology, ecology, EIA techniques and understanding of environmental regulatory requirements (specifically UKCS). Reporting directly to the Team Manager and working with team members, the successful candidate will plan, manage and complete a portfolio of projects that provide advice and support to local authorities helping them in improving the recycling services they provide and reduce waste, particularly providing specialist support and guidance on operational matters and working with frontline staff during implementation of new services, service changes and operational efficiencies. You will also be expected to provide progress reports for projects as required by your manager to inform reporting on the programme and at times travel around the UK including some overnight time away, and so a driving licence is essential. To be considered you will hold CPC, IOSH Managing Safely and WAMITAB Level 3 minimum qualifications and certificates as well as have significant operation experience of; planning and delivering waste collection, recycling services, depot management, implementing significant changes in services and in mobilising new contracts and supervision of teams. 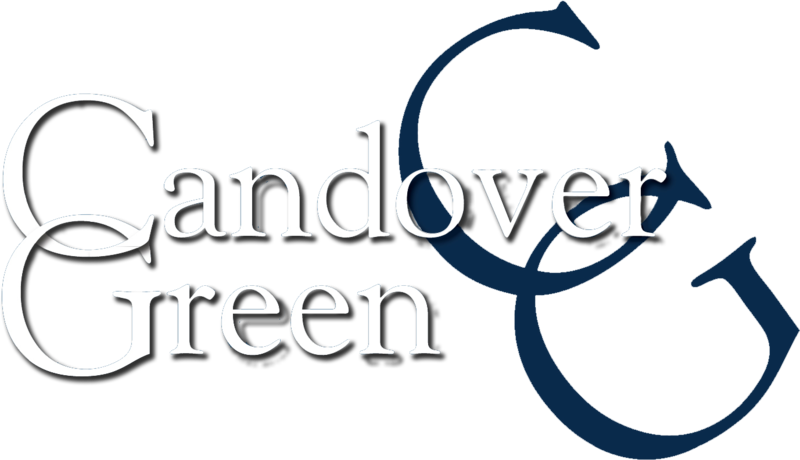 For full details email Rebecca@candovergreen.com quoting job ref: RB2097 and with your current CV attached. We are working with a leading consultancy who specialise in inspection, analysis and technical consultative services to the Biomass/RDF/SRF industry. Due to expansion, they now have an exciting opportunity for an experienced sales and marketing individual to increase their profile and portfolio of clients across the UK. You will contribute information, ideas, and research to help develop marketing strategies for the RDF/SRF business. Assist with detail, design, and implement marketing plans for services. You will develop sales strategies and approach for the consultancy service. Maintain excellent relationships with clients through superior customer service. Track sales data and works to meet quotas. Analyse market trends, data, demographics, pricing strategies, and other information that can potentially improve marketing and sales performance. Create and present regular performance reports for managers and executives. Implement and adhere to company policies and procedures. Attend trade shows and travel to meet clients as needed. You will have Customer Service experience, Client Relationships, Interpersonal Communication, Marketing Strategies, Product Development, Creativity, Financial Strategy, Data Tracking, Written and Verbal Communication, Organisation, Planning, Research and Analysis, RDF/SRF industry experience within a sales role. We are working with a leading sustainability consultancy who have the requirement for an experienced Business Area Manager to take on a leading role within the Water and Environmental team and work closely with the Practice Director to grow and deliver the team’s projects portfolio. The successful candidate will also manage and deliver consultancy projects in water resources, environmental impact assessment and/or ecology including staff and associates direction, lead a range of proactive business development activities including identifying, engaging and networking with both new and existing clients in bother private and public sector and presenting our client’s work at conferences and technical meetings. In order to be considered you must have strong experience and knowledge of either the water industry or other infrastructure sectors, proven experience of leading large and complex bids including; management of bid teams, development of methodology and presentation and developing follow-on work with customers and creating new business opportunities and a bachelor’s degree (minimum of 2:1), Masters degree or PhD in a relevant discipline. Our client, is looking for an experienced operations manager to join their team and take on responsibility for their municipal waste collections service within East Anglia. You will lead and effectively manage all operational environmental and waste services that are run from the designated area to ensure the most efficient, effective performance and smooth logistical operation of refuse services and ensure compliance with statutory processes, with strong health and safety focus, as well as a number of other duties as required. The ideal candidate will have experience of working in an environment that demands high standards of health, safety and logistics management, has a solid track record of delivering in high pressure situations, COTC desirable along with a full clean UK driving license. We are working with a rapidly expanding waste recycling company who now have the requirement for a skilled Key Account Manager to oversee the relationship’s of the company with its most important clients. You will be responsible for obtaining and maintaining long term key customers by comprehending their requirements. The ideal candidate will be apt in building strong relationships with strategic customers. You will be able to identify needs and requirements to promote the company’s solutions and achieve mutual satisfaction. The goal is to contribute in sustaining and growing our business to achieve long-term success. You will develop trust relationships with a portfolio of major clients to ensure they do not turn to competition. Acquire a thorough understanding of key customer needs and requirements. Expand the relationships with existing customers by continuously proposing solutions that meet their objectives. Ensure the correct services are delivered to customers in a timely manner. Serve as the link of communication between key customers and internal teams. Resolve any issues and problems faced by customers and deal with complaints to maintain trust. Play an integral part in generating new sales that will turn into long-lasting relationships. Prepare regular reports of progress and forecasts to internal and external stakeholders using key account metrics. In order to be considered for this position you will have proven experience as key account manager. Experience in sales and providing solutions based on customer needs. Strong communication and interpersonal skills with aptitude in building relationships with professionals of all organisational levels. Excellent organisational skills. Ability in problem-solving and negotiation. You must have one or more of the following experience in; ewaste management, take back programs, ITAD, electronics refurbishment, data destruction. We are working with a leading Waste Services Company who have the requirement for an experienced Bid Estimator who will report to the Tendering Business Partner and support the Business Development and Tendering teams with the preparation of financial models for a portfolio of large scale existing and new contracts. You will provide financial input on all bids, from qualification through to contract signature, and take on a number of other responsibilities such as; capturing and updating all operational and non-operational ratios and analysis. In order to be considered you will have at least 3 years experience in financial modelling and accounting, have a degree in Finance or similar qualification and have provable experience in costing and pricing methodologies within the waste management sector. This role will also require you to be flexible with working hours as extended hours and weekend working will be required at times, along with overseas travel. We are working with a leading multi-disciplinary environmental consultancy who have the requirement for an experienced and passionate air quality consultant who will play a key role in providing high quality consulting advice, both routine as well as pioneering assessment work, whilst implementing innovative approaches and providing a holistic and high quality service to their clients. The successful candidate will also contribute to and manage the delivery of projects on time and to budget, manage resources within the project delivery and undertake regular project reviews, contribute to business forecasts to provide visibility of workloads, team utilisation and business development activities and support junior team members in the safe delivery of consultancy services and their own professional development, as well as a number of other duties and responsibilities. In order to be considered for this role you must have a minimum of 5 years air quality consultancy experience, thorough understanding of air quality legislation, policy & guidance, experience of delivery, co-ordination and technical review of air quality assessments, proficiency in dispersion models for industrial and/or transport sources (e.g. ADMS, AERMOD), a degree in a relevant scientific discipline (a Masters level degree is preferable) and you must have a full UK driving license. A Leading Integrated Services Consultancy are looking for an experienced Consultant to join their team. Reporting to the Area Manager the successful candidate will undertake technical surveys and inspections at client sites and provide written technical reports on behalf of project managers within the Health & Safety Services division, as well as carrying out a combination of; risk assessments and audits of building water systems for the control of legionellosis including; auditing site records, produce water hygiene logbooks for domestic water systems and undertake accident investigations to identify root causes, audits of general H&S compliance and topic specific audits. You will also liaise with project managers and account managers in relation to work under their control and work closely with the centralised planning team to ensure work is being effectively scheduled. In order to be considered you must have proven experience working with water/legionella risk assessments and the environmental industry and have relevant industry qualifications e.g. IAWQ – city & guilds qualifications and certificates in BOHS P901 and P902 are preferable. We are working with a leading recycling company who have the requirement for an experienced, electrical engineering focused plant manager to take responsibility for the recycling process at their site in the South East. This position will see the successful candidate initially focusing on performance and maintenance of any fixed plant machinery on site with the aim of extending best practice in other bases including the Midlands, responsibility will also include overseeing the team of operatives (who work 24/7), encouraging them and their work to guarantee efficiency and targets and other responsibilities will be expected to be met with this role as it expands. To be considered you must have previous leadership experience within Recycling or relevant industry; waste, process engineering, aggregates or manufacturing, have maintenance engineering as a foundation to your career and have a solid understanding of large motors, conveyor belts and heavy fixed plants as well as an ability to read drawings and flow charts. We are working with a leading waste operator who require a supervisor to be based in the South West reporting to the Operations Manager the successful candidate will be responsible for ensuring risks are both recognised and managed appropriately in a timely manner whilst planning collection rounds to ensure maximum efficiency and that the team meets the customer contractual requirements. Other responsibilities will include, but not be limited to; maintaining and echo planner, monitor and analyse field operative performance including output and work quality to ensure the efficiency and profitable delivery of work, act as a link between the local management team and the front line services and conduct daily route risk assessments. In order to be considered you will hold relevant sector specific qualifications, Full CPC and have excellent knowledge of the demographics and layout of the business area, be able to demonstrate previous experience of supervising a team with excellent leadership and people management abilities and you will have a full driving licence. We are working with a leading UK and International Environmental Consultancy who are looking for an experienced hydrogeologist to perform project management support to the application standard principles and evaluate and select methods of basic project work and apply specialist technical skills to complex and multidisciplinary assignments. This varied role will also require the successful candidate to undertake the application of risk assessment models to assess potential risks in controlled water, environment and human health areas that are associated with land and groundwater contamination and provide to technical support whilst checking the work of other team members, undertake geological, hydrological and hydrogeological and land quality condition assessments across a wide range of sectors including industrial, waste facilities, and mineral associated and prepare databases of field and laboratory information, record and manage data in various formats, carry out the analysis and presentation of data in accordance with the company quality management systems and information prepared by other colleagues. To be considered for this role you must have a Bsc, Msc or MSci in Geology or Earth Sciences, ideally also hold a MSc in Hydrogeology or related discipline, be computer literate with good knowledge of specialist risk assessment & hydrogeological modeling software, and you must have a clean driving license. Our client, a multi-disciplinary consultancy, has requirement for an experienced a Senior/Principal Ecologist who will manage a diverse range of projects and assist their growing team. In order to be considered for this role you must have a minimum of 4 years relevant consultancy experience, excellent project management and communication skills and have expertise with protected species. You will hold survey licenses and be either a Full or Associate member of CIEEM. If you are an experienced Site Chemist or graduate chemist looking for a new career within the waste management sector, please get in touch. We have the requirement for a number of levels across the UK. In order to be considered for these positions you will have a relevant chemistry degree. It is essential you have a full, clean UK driving licence. For further information, please email a copy of your CV along with a covering letter to Becky on the email address below. If you are an experienced Site Chemist or graduate chemist looking for a new career within the waste management sector, please get in touch. We have the requirement for a number of levels across the UK. In order to be considered for these positions you will have a relevant chemistry degree. It is essential you have a full, clean UK driving licence. For further information, please email a copy of your CV along with a covering letter to Becky on the email address below. We are looking for multi-disciplinary, Geo-Environmental/Geotechnical Consultants to be based in various locations within the UK. Within these positions you will be responsible for desk studies, ground investigations (factual and interpretive), groundwater and gas risk assessments. Working with senior and principal engineers providing clients with geoenvironmental assistance as required and you will assist with negotiations with regulatory authorities (NHBC, EA, LA) on an ad hoc basis. In order to be considered for these roles you will have a good working knowledge of appropriate British Standards, Eurocodes, Industry Guidance and NHBC Standards, have a BEng, BSc or equivalent technical qualification in a relevant subject and be working towards Chartered Engineer/Geologist status, with at least 3 years of relevant experience including ground investigation, interpretation and reporting.